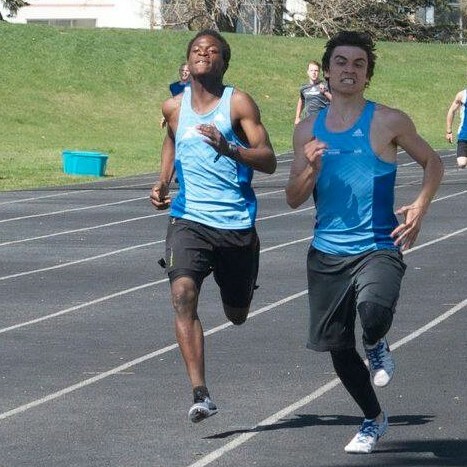 Brandon Tufford (right) edges past (Chris Nelissen (left) in the men’s 400m at the 2018 Peace Country Classic Track Meet in Grande Prairie. Tufford won the race in a time of 53.4. 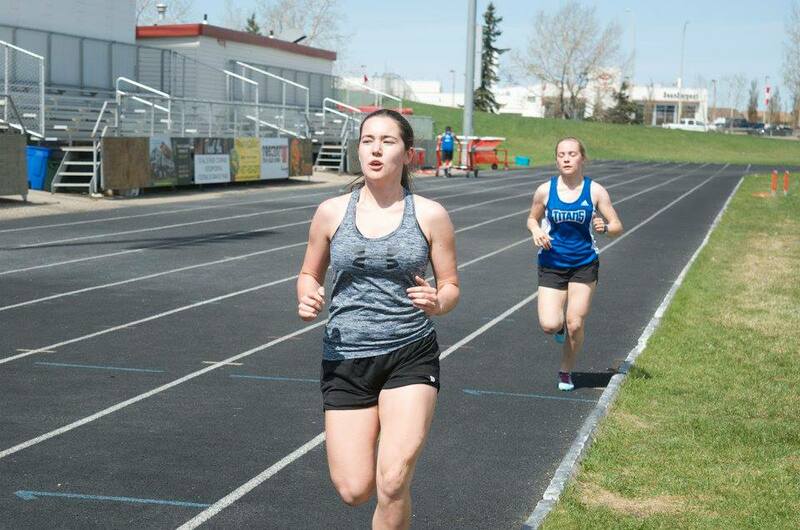 One hundred and fifty nine athletes of all ages and abilities were at the Legion Track on Saturday contesting the 16th annual Peace Country Classic Track and Field Meet. Under sunny and breezy conditions, a number of stellar marks were recorded on the track and in the field. Other notable performances included a 1.90m mark in the high jump by Peace Wapiti Academy’s Levi Grose and a 36.60m discus toss by Sexsmith Secondary’s Keyana Anderson. High Level’s Tatianna Malmquist (leading) and Peace Wapiti’s Lydia Steinke (trailing) square off in the Youth women’s 1500m at the 2017 Peace Country Classic Track meet in Grande Prairie. Malmquist clocked 6:02 for the win. The Peace Country Wolves Athletics Club topped the team standings; Peace Wapiti Academy placed second. The Peace Country Classic served as the trials meet for selecting the Zone 8 team for the 2018 Alberta Summer Games to be held in Grande Prairie in July. Forty-four athletes will be named to the Games team later this week. This entry was posted in Outdoor Track and Field, Uncategorized and tagged 2018 Alberta Summer Games, Athletics Alberta, Athletics Canada, Grande Prairie, Grande Prairie Kids Meet, Peace Country Classic, Peace Country Wolves Athletics Club, Wolves Athletics Club, Zone 8. Bookmark the permalink.